Amanda Bringans is Director of Fundraising at BHF. 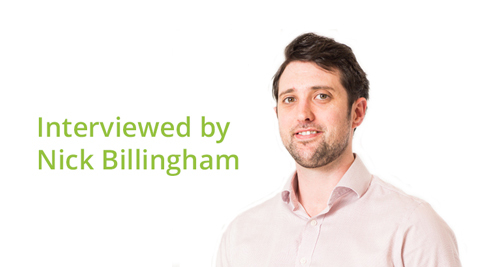 In her interview with Nick Billingham, she shares some advice gained from her career to date. Amanda Bringans joined the British Heart Foundation in December 2015. She has a strong background in fundraising, strategic development and implementation, strategic brand management and communications. Amanda has held interim fundraising director posts at Leonard Cheshire Disability and Battersea Dogs and Cats Home. Before that she was Director of Global Fundraising and Communications at VSO for three years, and spent 16 years at Macmillan where she was latterly Director of Fundraising. What tips do you have for an aspiring Fundraising Director? Put your hand up! Whilst I was a more junior fundraiser, I always put my hand up for projects that would take me out my immediate responsibilities. I am not sure when I developed the sense to do this as I wasn't always inclined to do so - certainly not at school where I was always in trouble! When I started in fundraising I felt such a strong fit, and I feel that when people feel like they fit, and they are being listened to and heard, then that feeds a desire to contribute more. So I think it's about finding an environment that you want to contribute more to which then feeds a desire to contribute even more. So when I got into Fundraising I started looking for things to take me out my comfort zone. This really happened to me at Macmillan and there are a couple of examples that spring to mind: the first was being on the team to successfully pitch for the Tesco partnership. And then I project managed the brand review for the Macmillan brand that you see today. Taking on these projects increases who you are interacting with. And then the more people you meet, the more you learn. And actually that is the key to it isn't it? A desire to learn. I love learning from clever people! And that is a really relevant point too; work for "super clever people" - or have "super clever people" working for you; I would always encourage people to never be scared of recruiting people who are more intelligent than you- see it as an opportunity and don't be afraid, as they will bring so much depth to your team that you may not have personally. What does someone coming to an interview with you, need to do to impress you? I think we can all be slightly guilty of having a strong opinion of someone within 30 seconds of meeting them. So without being overly clichéd I always look for someone to come in confidently, shake my hand, make eye contact and give me a big grin rather than shuffling in looking a bit terrified. Being well prepared is vital too, as is having a laugh. And be yourself; as soon as I sense somebody is not themselves or trying to be something they are not I lose interest. Tell me genuinely about your skills and their talents and their achievements - because I want to listen and hear that. The best thing you can do is to be articulate and clear about what your achievements to date are and what you have learnt. A good interview is really enjoyable - I want to come out of it thinking that was great - I learnt something from that person! So it should be fun - if a tiny bit terrifying. Do you think the sector does enough to attract new talent to Fundraising? What more can we all do? I am fully aware that there is a bit of a merry-go round of fundraising staff in the sector. Some people move from charity to charity - and sometimes this can be a really good thing but sometimes it is good to bring in new blood. I very much value bringing in fundraisers from other charities, but if all you are going to do is move from charity to charity at the same level in the same discipline then that isn't going to energise our profession. Here at BHF, we have just recruited our new Director of Fundraising Excellence and Innovation from outside the sector. And working with the IOF we are very eager to push fundraising as a professional career - continuing to promote and drive commitment to the academy and the journey towards being the Chartered Institute of Fundraising. The Institute has a key role to continue to professionalise it and to raise the profile of it as a respected profession. What was the last thing that made you angry (within a Fundraising context)? Badly written thank you letters make me very angry! In my opinion there is no excuse for this. They have to be prompt, beautifully written and come from the heart with absolutely no spelling or grammatical mistakes. You have taken on the role as Chair of the IOF at a testing time for the sector - congratulations, how did it come about? I have been working with the Institute for a long time; having previously sat on the London committee many years ago and have always really enjoyed my interaction with them. When the vacancy came up a couple of people suggested I go for it, which was hugely flattering. So I did and I still can't quite believe I got it, when I found out I was just so astounded, delighted, and very proud and I have to say I am absolutely loving it. There is certainly a lot happening. Perhaps rather naively I thought the happenings of 2015 were quite a while ago and Richard, my predecessor will have dealt with that and that we have come out of the other side but then you get into it and actually there is of course so much to do! But as I say I am genuinely loving it. With this, plus the day job and the trusteeship at Regents University you must be busy! Do you have any life changing time management tips? Certainly the Chair-ship has increased my working hours! Over the years I have developed a time management tool which seems to work for me; I see each week as a pattern. On the weekend I look at my week ahead and grade meetings accordingly - what is each one going to require from me - intellectually and energy wise? When do I need to put a suit on? When can I wear my jeans? And subsequently I manage my time and structure accordingly. I definitely need spaces in my diary where I can just sit down and think and I think that is very important - otherwise I will get to the end of the week and be shot. But it is a pattern, it's a shape and that is how I view it. You have spoken about the need to support smaller organisations in the face of regulatory changes - how are you hoping to do that? One of the strategic priorities for the IOF is to support smaller charities and we are conscious we want to do more of this and do it better. A good example is having easily accessible, affordable resources - which I know these organisations need more of. An example would be the recent UK wide GDPR courses that we ran for around £75 for small charities. The feedback from these has been great and we know we need to do more of things like this. On a personal basis I am planning to visit all of the different regional committees to hear more about what they need so we can plan that into our wider strategy and I recognise the importance of that. BHF were fined by the ICO - has that impacted on the department on a day to day basis? Initially yes, we definitely felt the impact - though I had literally just joined when it happened. Something like that is always genuinely upsetting for fundraising teams - fundraisers here certainly felt that very strongly. So there was a period of "what are we going to change to do better?" And as a result of that we have had to significantly invest in our compliance. So it has certainly led to a desire to get things right, investment in compliance and an ongoing desire to audit and monitor and compliance in a very rigorous way. So we have had Deloitte in to do an audit all of fundraising compliance activities to ensure we are adhering with best possible practice. Has this led to us being more risk adverse? No absolutely not, it has led to a desire to be even more innovative and creative based on the fact that we know we have to be absolutely compliant but also to ensure we are doing things that our donors want and need. So conversely no we are not more risk adverse - instead we are trying to be more adventurous - but within a compliant framework. Ultimately whilst GDPR has increased our workload, if you think about what it is trying to achieve its true aim is fundamentally a good one. People will feel more protected; as fundraisers we can translate that aim into a true desire to delight our donors. But it can only be a good thing if donors are getting what they genuinely want. So we can't see it as a constraint or a barrier but we have to see it as an opportunity to communicate more closely with what your donors want. Easy to say, hard to do! How do you ensure the whole BHF fundraising team is motivated and 100% behind the cause? I think it is absolutely vital to have fun at your job. I once got reprimanded by a CEO in an interview for a very senior fundraising role for using the word fun three times in the interview. I could not disagree more strongly with that person than I do! You have to work hard, be intellectually challenged, drive high performance and held to account but you absolutely must have fun at work. I also think that strong leadership that is aligned to your organisations values is vital. Our CEO here is very focussed on ensuring our values are front of mind. And I think as fundraisers that is a great help. And lastly you have to keep the cause at front of mind. So one of the things we do here is to run events that the team can go and hear from the researchers to listen to the work that they are actually helping to fund, and that is important. Obviously I have to say Simon Gillespie the CEO at BHF - who would kill me if I didn't say him! Notwithstanding that he is a brilliant boss with a shed load of integrity, and great to work for so he really is genuinely up there. The other one I would say is Judy Beard - my director of Fundraising at Macmillan from 1999 to 2007. She was just an amazing Director of Fundraising: willing to trust, willing to teach, willing to have a laugh and hugely empowering and self deprecating about her own extraordinary abilities. Along with being just lovely. I wish I'd have thought of that - any campaigns or appeals you think have been particularly ground-breaking. I admire lots of things other charities do. I came across UNICEF's latest legacy campaign this morning - which was around personalising a timeline from the historic events that have happened during your life, leading to a really well constructed legacy ask. It was beautifully put together and really well executed so I really enjoyed that. I also really enjoyed the campaign Battersea Dogs and Cats Home ran around sentences for animal cruelty being too light - with lots of comedians - that was brilliant. I have just finished this book (A Heavy Reckoning) by Dr Emily Mayhew who has written this about the long term health issues caused by blast injuries - principally focussed on victims of the Afghanistan war, for example people who are triple amputees and the massive toll that blast and IED injuries have on people for the rest of their lives. It is an absolutely amazing book. And every morning over the last week, on the train I have shed a tear. I thoroughly recommend it, it is written so beautifully and is such a powerful mix of science and human emotion.